Sweden’s CellOut is a band that I think could really achieve some success in the United States if given half the chance. The band finds a great balance between being melodic and being heavy. That’s a product of vocalist Percy Mejhagen’s early influences such as Korn, Pantera & Sepultura and guitarist Robert Monegrim’s melodic rock influences. The album was mixed by Ulrich Wild (who has worked with Pantera, Deftones & Static-X). 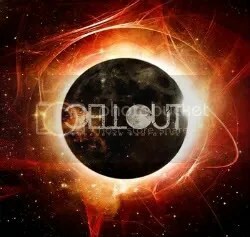 So CellOut are most certainly a band for modern times (I would place them under the broad “alternative rock/metal” category) which is why I think they tons of potential stateside. While songs like “Dark Days” and “Flooded” have plenty of radio appeal, “Set Things Straight”, “Breathe” and “Fake” are heavy and brutal enough to please those they might be jaded by such commercialism. Personally, it’s the albums more melodica moments that I like best. And for my money, the band puts their best foot forward at the beginning of the album. “Dark Days”, “All My Demons Inside”, “The Gift” and “Flooded” are prime examples of GOOD catchy modern rock/metal tunes. See, this is the kind of stuff that would happily keep me listening to the radio. You know how I know I’m really liking an album? I check out the lyrics. That is, if they are provided and luckily they are (lyrics should be a standard part of album packaging, get it together people): “I never wanted you to say ‘I’m sorry’/Hell no, dark days are far from gone/I never wanted you to say ‘I’m sorry’/Hell no, it’s all around/You can’t escape it”. Perhaps a bit emo if coming from one of Hot Topic’s favorite bands but when it’s coming from the pummeling and hooky opener “Dark Days”, I found yourself energized and singing along. Superstar Protoype is a “must listen” for fans of Disturbed, Linkin Park, Korn, Static-X, etc.